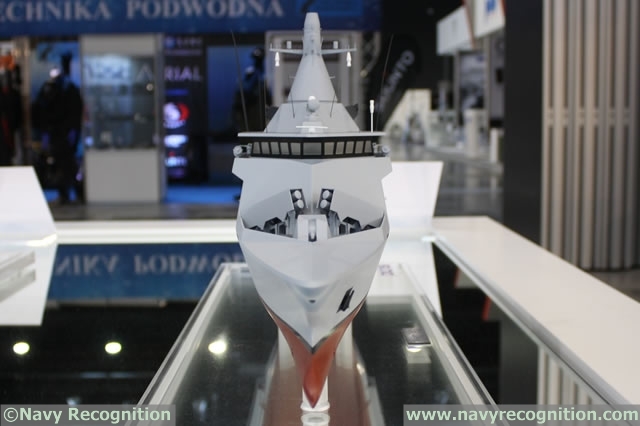 At BALT MILITARY EXPO 2014 which was be held in Poland from 24 to 26 June 2014, DCNS unveiled a new member in its Gowind range: The Gowind 1000. 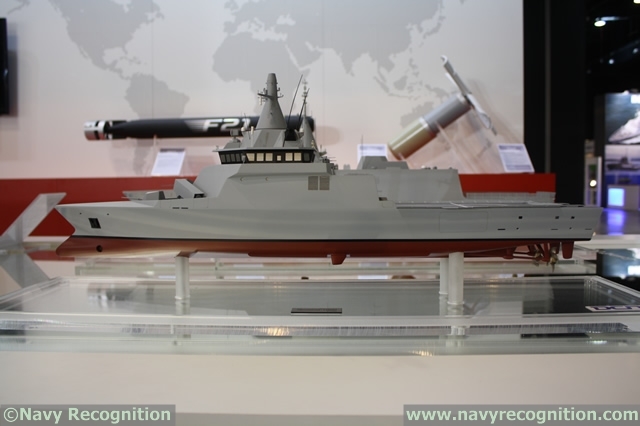 According to DCNS it is a new fast and reconfigurable naval asset, ready to face 21st challenges: A high speed vessel capable of fast intervention against emerging threats, with a significant autonomy for deployment from littoral to deep ocean environments in time of crisis. 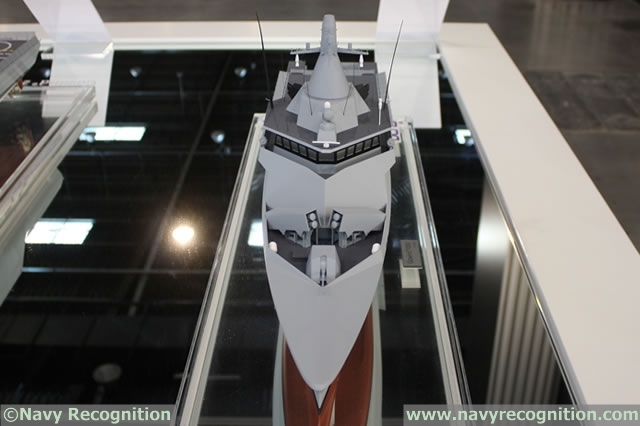 An innovative design with DCNS panoramic mast, UAV integration and a large modular mission bay. This highly versatile design allows quick reconfiguration according to the mission assigned. 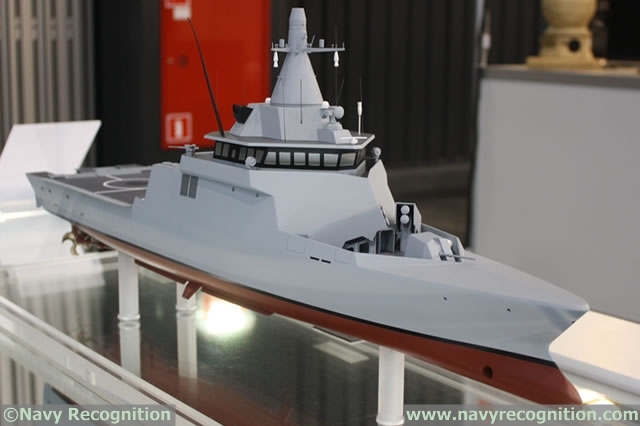 Highly automated, with a crew reduced to 44, the Gowind 1000 takes benefit of DCNS experience to design complex warships and integrate Combat systems thanks to its long term relationship with the French and foreign Navies. 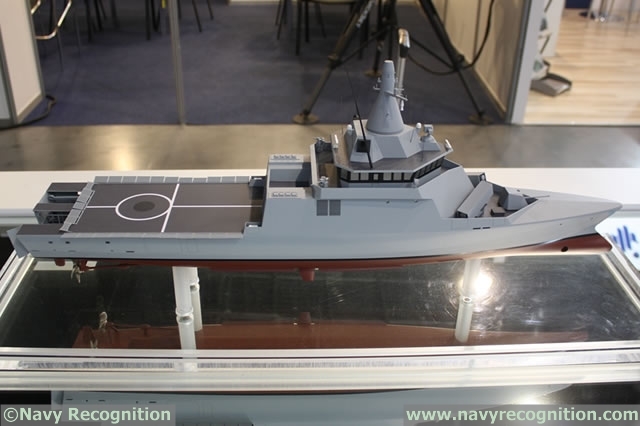 DCNS is offering this design to Poland which at the stage of technical dialogue. 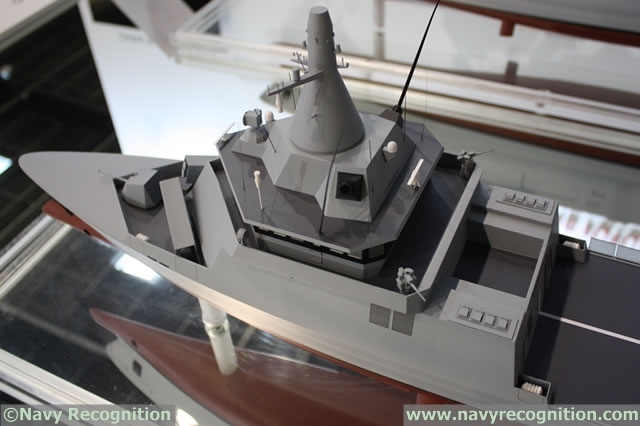 The Gowind 1000 completes the Gowind range and fits in between the Gowind 2500 (formerly known as Gowind "Combat") already selected by the Royal Malaysian Navy, and the Gowind OPV L'Adroit. 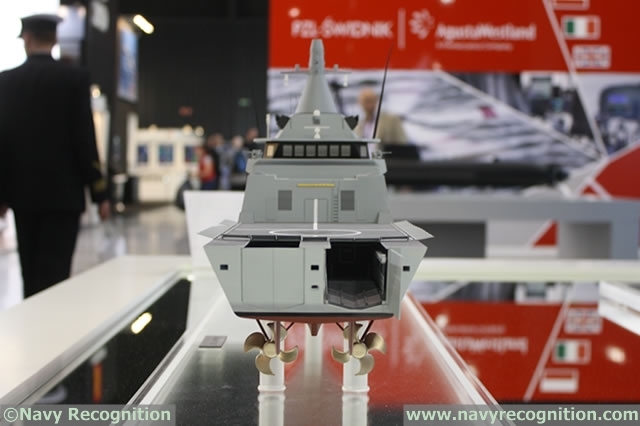 Similar to L'Adroit OPV, the main bridge of the Gowind 1000 offers panoramic 360° visibility and there are two main ramps allowing for fast deployement and recovery of two RHIBs for special forces or boarding parties.